At a Death Café, people (often strangers) gather together to eat cake, drink tea and discuss death. BrumYODO invites you to join us in this open discussion group about death with no agenda, objectives or themes. Places are free but limited. Refreshments will be provided. Please book by emailing Rosie.Barker@BirminghamMuseums.org.uk. Before the Death Cafe, you are welcome to join our free tour – The Shadow of Death – and see how death has been depicted, and lived with, over thousands of years. 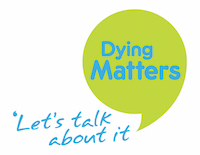 We are also holding Death Cafes on the the 11th May at the John Lewis Community Hub and on the 12th May at Beat Box in the Library of Birmingham.